Named after the Greek nymph and earth goddess of springtime. 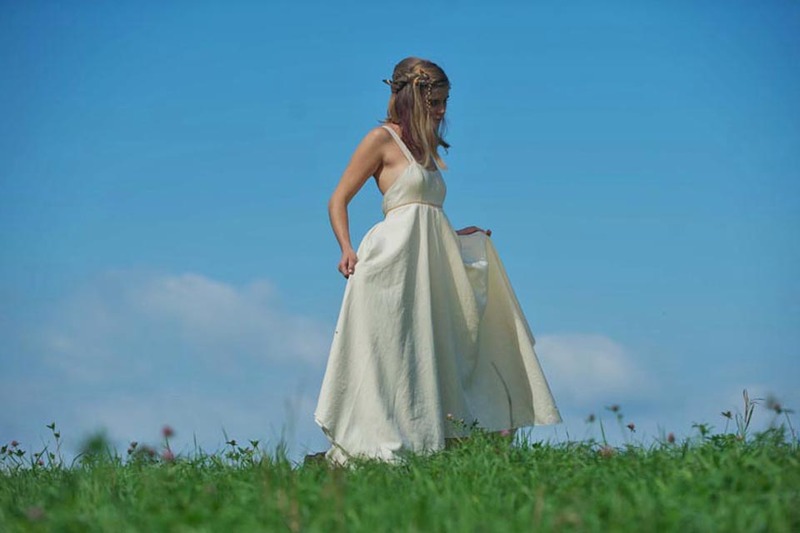 Made of fine hemp and organic cotton, with an empire waist line and handkerchief hem, she is a playful hippie wedding dress. Maia is made of fine woven hemp and organic cotton. 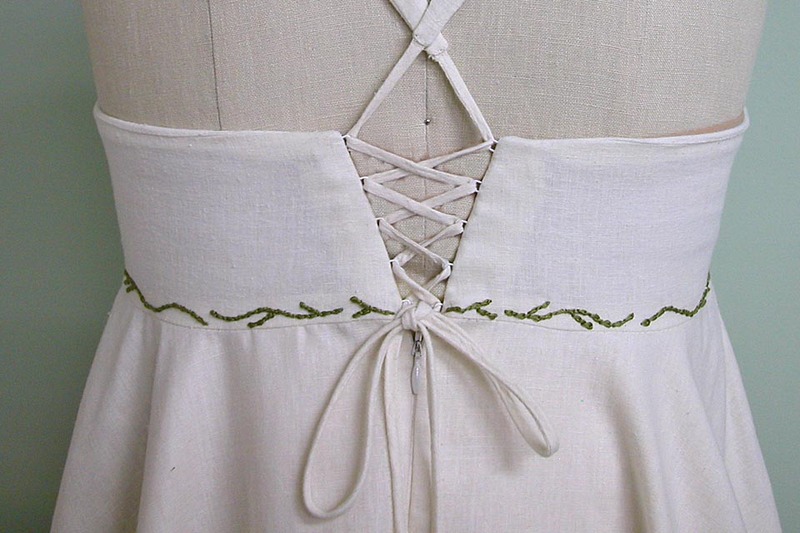 She has an empire waist and handkerchief hem. Wide, comfortable straps cross to create a plunging, open-backed V that descends to an earthy train of hemp twine and glass beads. Specially made for each goddess that wears her, you get to work one-on-one with Tara Lynn to select a trim and train to fit your personal style. 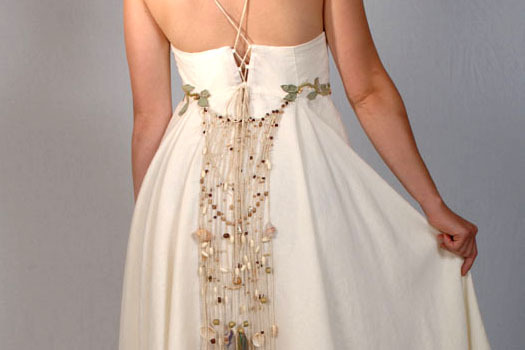 A simple trim adorns the empire seam of this hippie wedding dress. 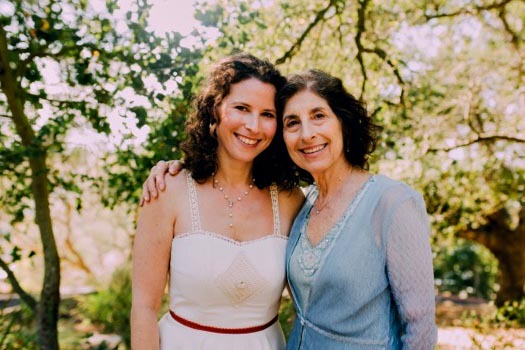 She starts at $1,000 and is customized for each individual goddess to celebrate her way. Maia is personalized for every goddess. 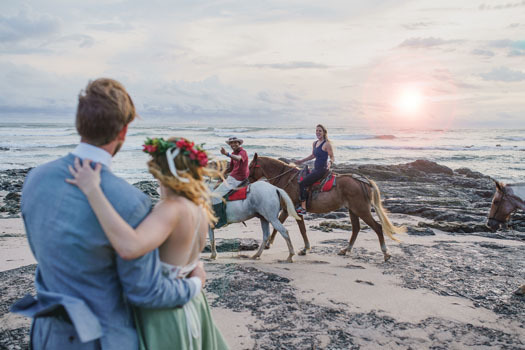 You will see examples below of embroidered Maia wedding dresses, large detachable seashell trains and a hippie wedding dress appliqued with butterflies. The construction of Maia also varies with a loose open back or a lace up corset back for more support and coverage. She is fitting as a maternity wedding dress, aptly named Maia the Greek mountain nymph, she is “the great mother”. 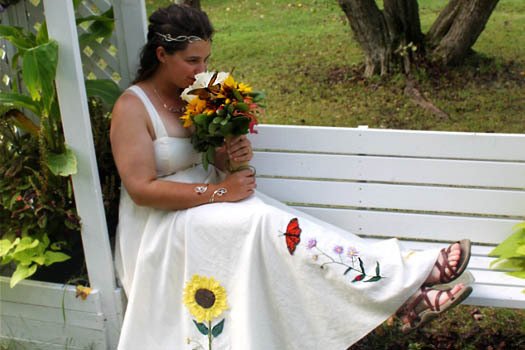 Andalyne’s dress was embroidered with the four seasons. 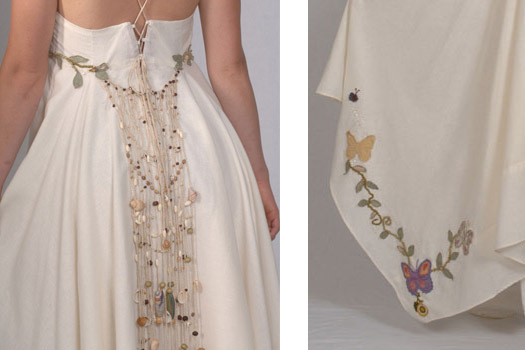 Appliqued butterflies flutter around the hem of Heather’s lace up back Maia wedding dress. 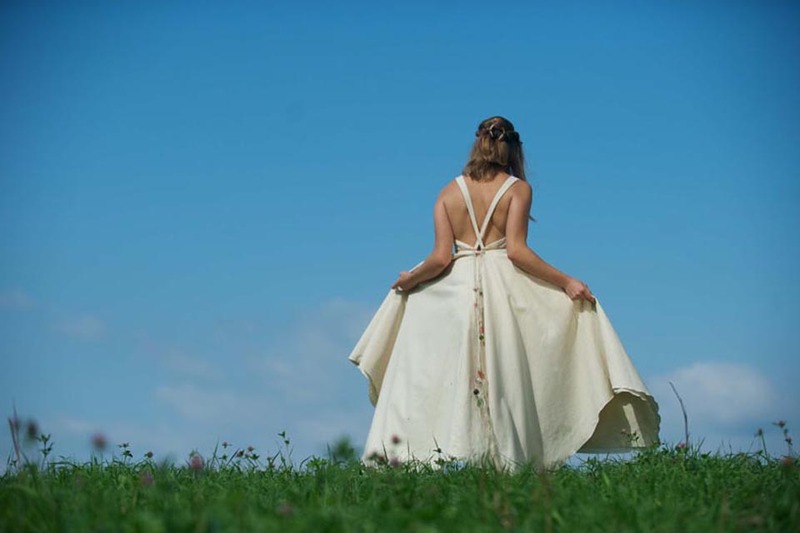 Alyssa’s dress with adorned with crochet trim from her mother’s wedding dress. 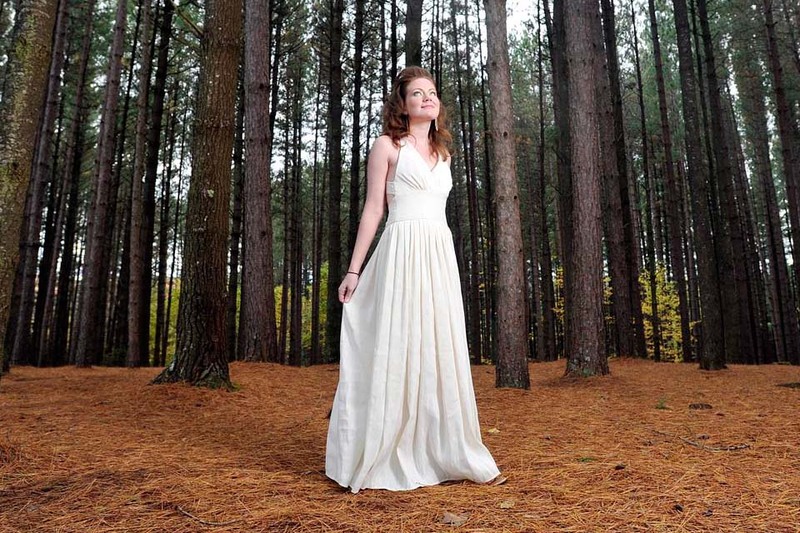 Heather’s Maia wedding dress is adored with a delicate floral trim and a lace up back. 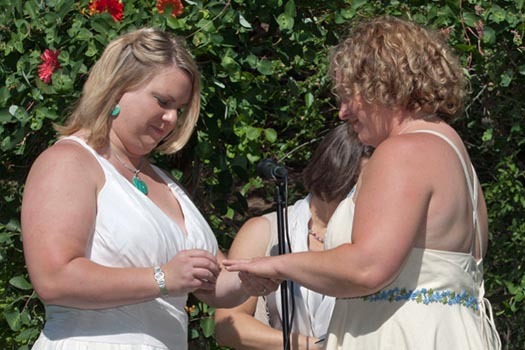 Laura, left, wore the Athena goddess wedding dress.